This is Page 2 of 2 - the best of March 2006! 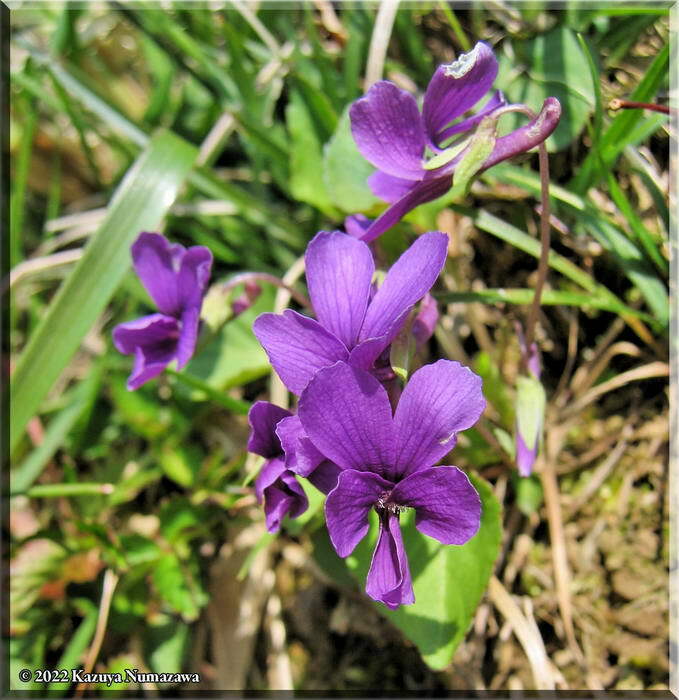 The photos on this page continue with March 12th and go through the end of the month. Click on any thumbnail to begin. 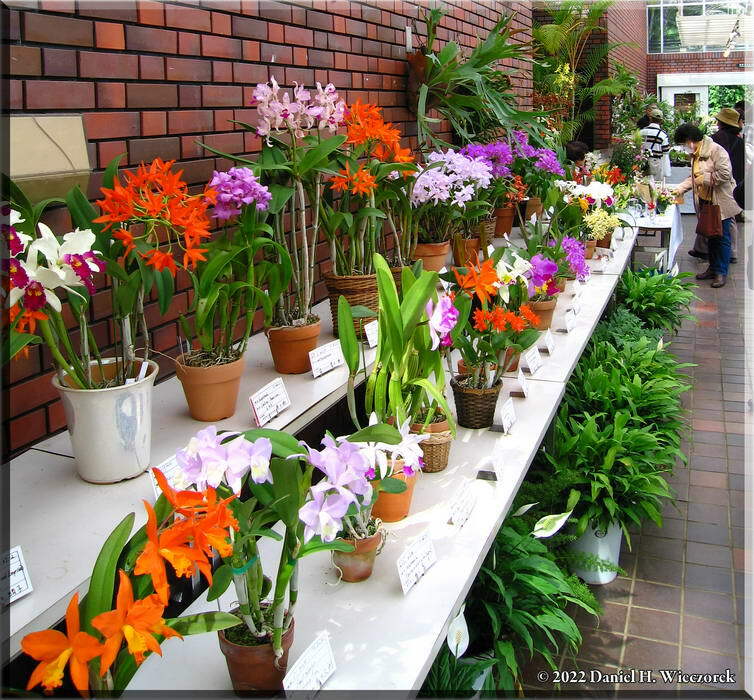 Continuing at Jindai Botanical Garden - the first 2 photos show an orchid exhibition which they were holding, inside the greenhouse. 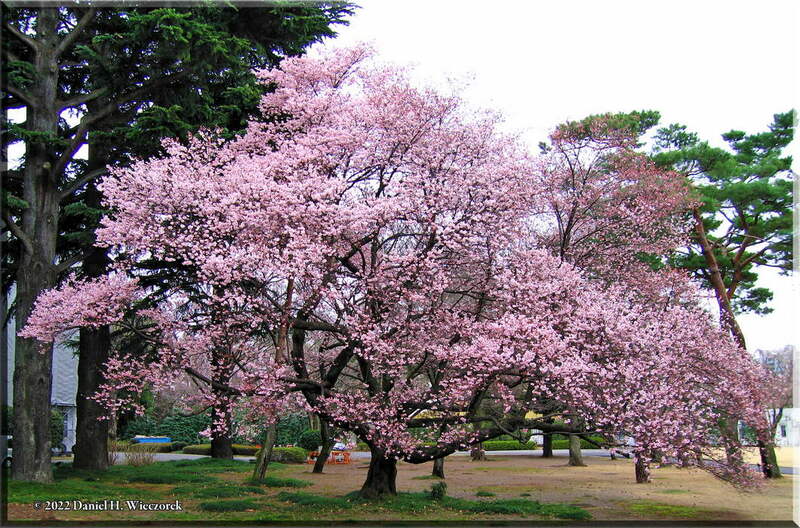 The 3rd photo is a very early Cherry Tree on the campus of the Hitachi Design Facility (where I teach a class). 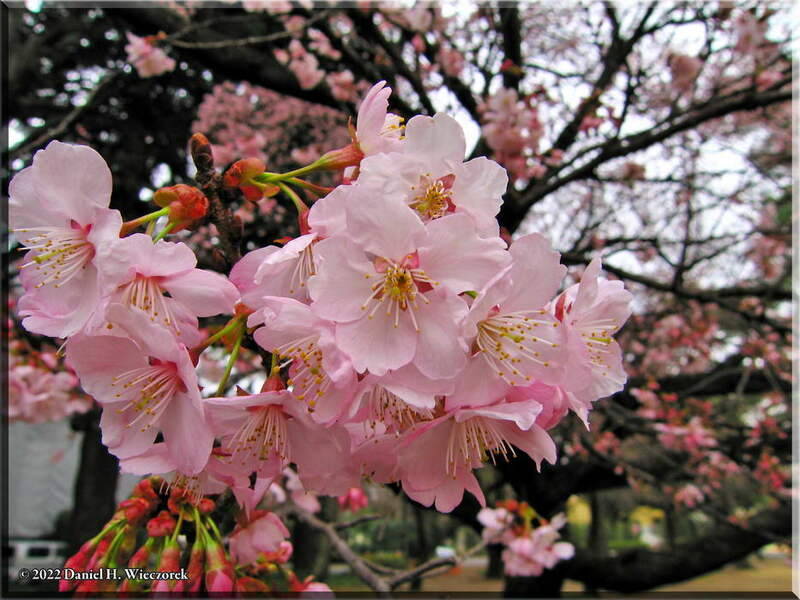 The first photo is a close up of the Cherry Tree in the previous row. 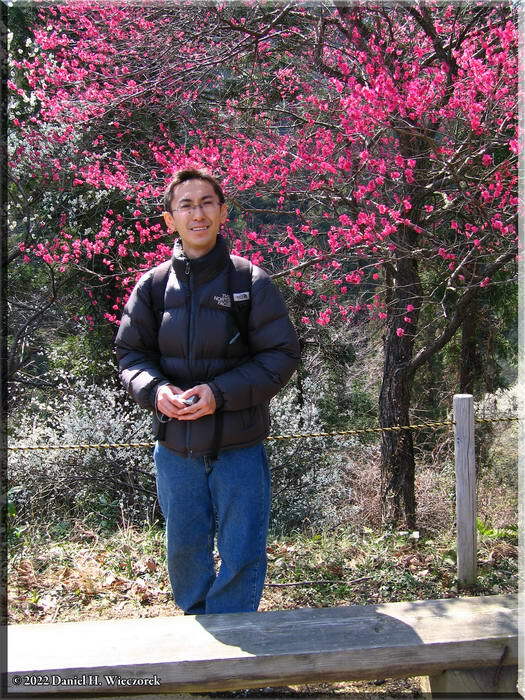 The next 2 photos were taken on March 18th when we climbed Mt. 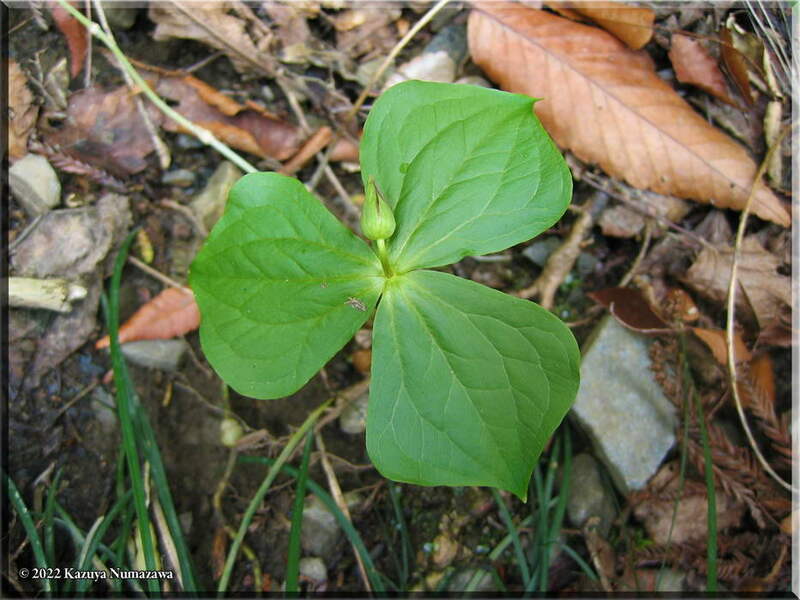 Takao, a Trillium bud and Chrysosplenium album var. 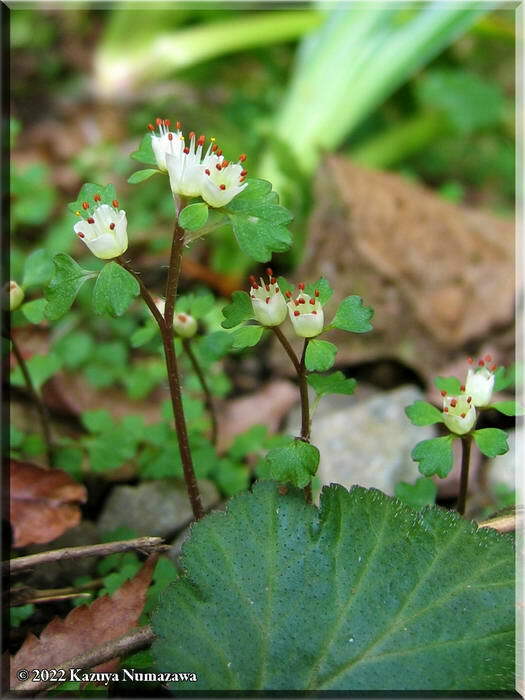 stamineum. 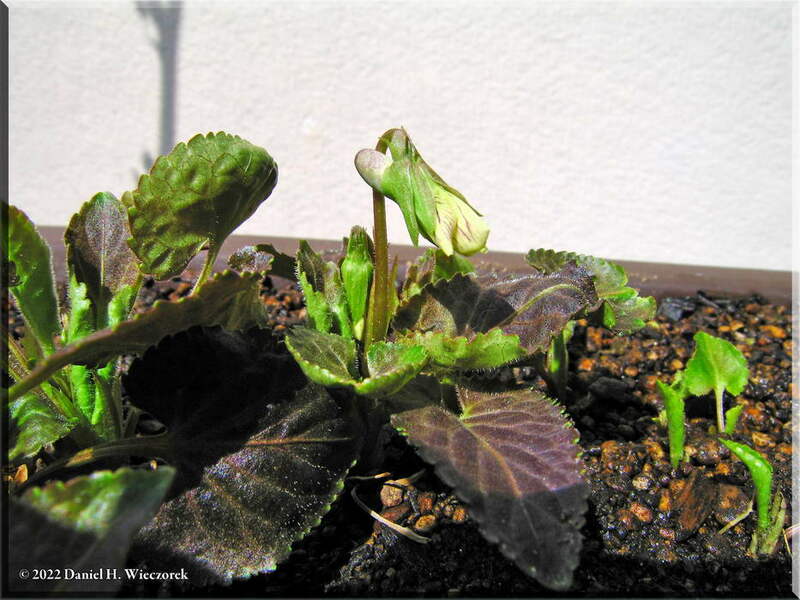 This is the closest photo we have ever gotten - you can even see the hairs on the stem! 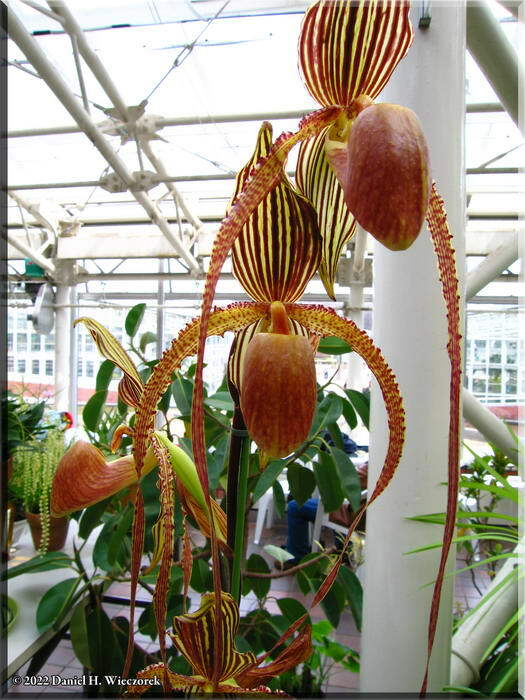 This plant is not "rare" but it is also not common, so we are fortunate that we know where to go to see it. 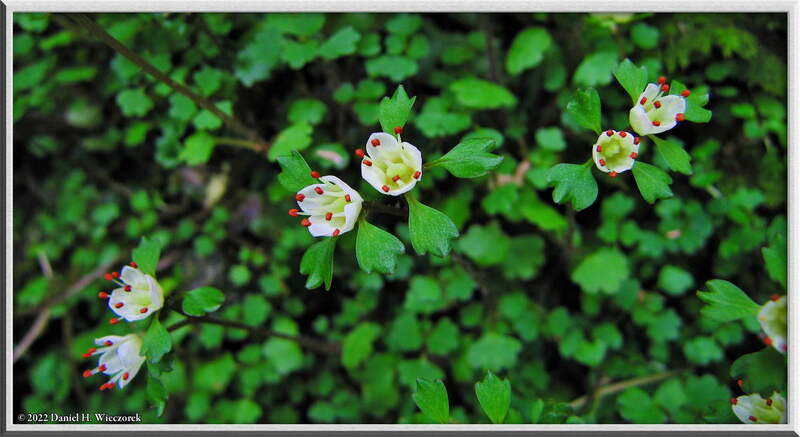 The flowers are about 1/4 inch across - it's very tiny. 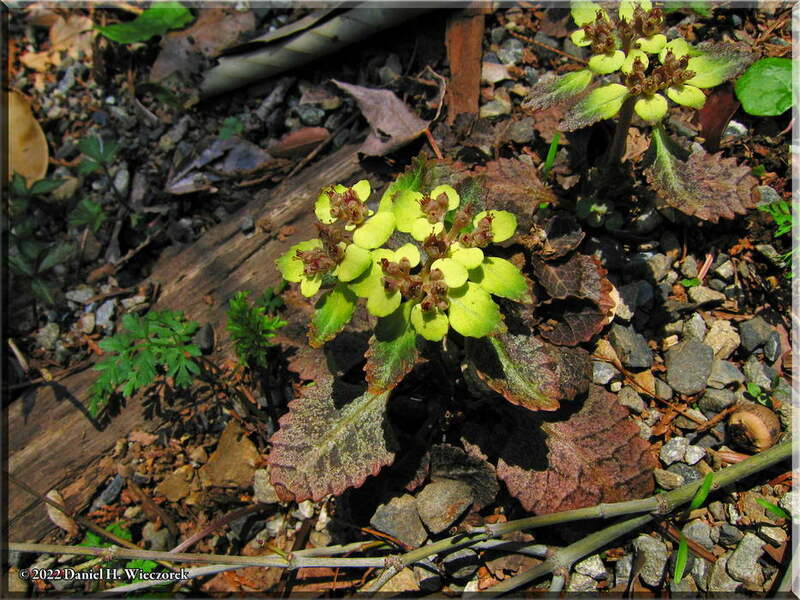 Three more photos of Chrysosplenium. The 2nd and 3rd photos were just taken one minute apart, but the exposure is different enough so that you may find them interesting. 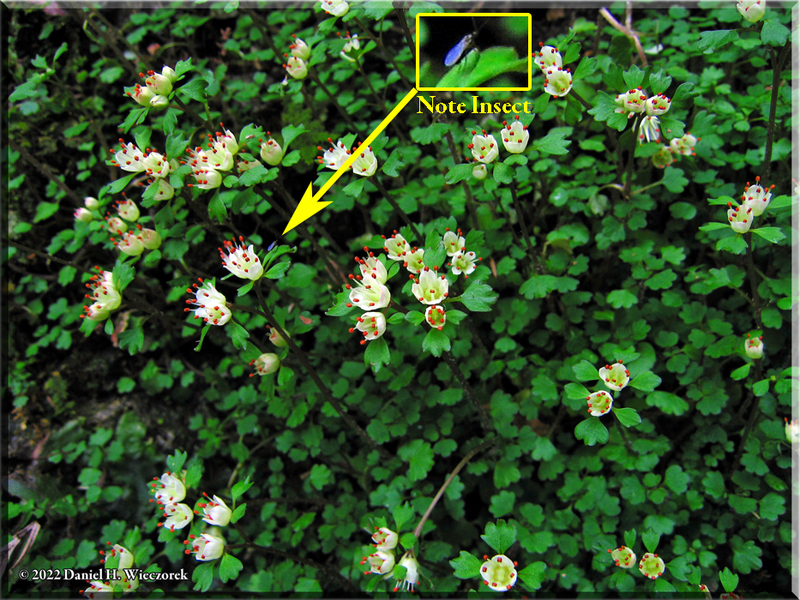 Also - the insect has moved from Photo 2 to Photo 3. Of course I didn't see the insect when I was taking the photo - maybe it was too small to even see with the naked eye?! 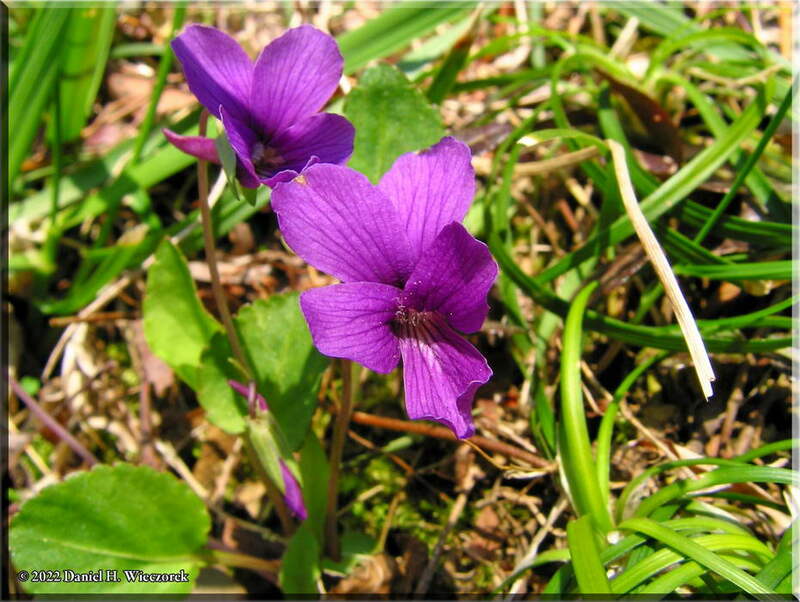 The first photo is the first violet of the season at Mt. 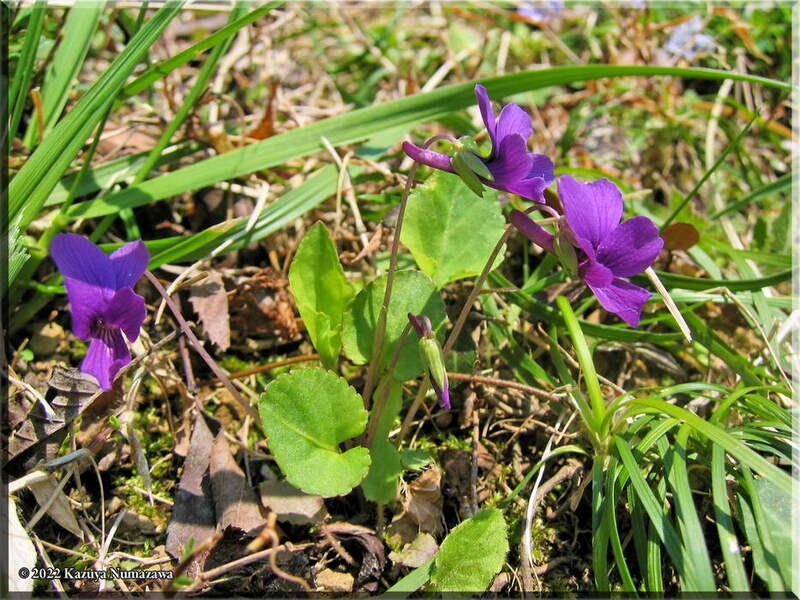 Takao - a Viola hondoensis. 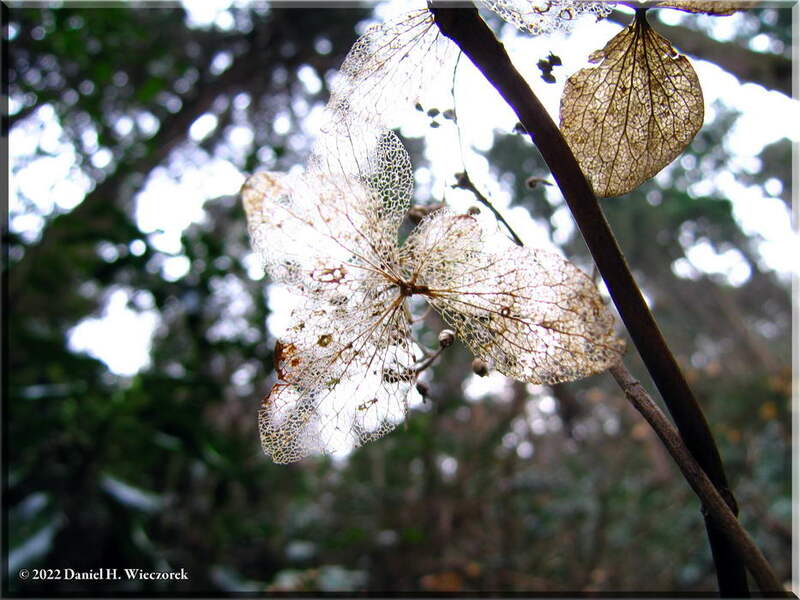 The next photo is taken looking through a skeletonized old Hydrangea flower. 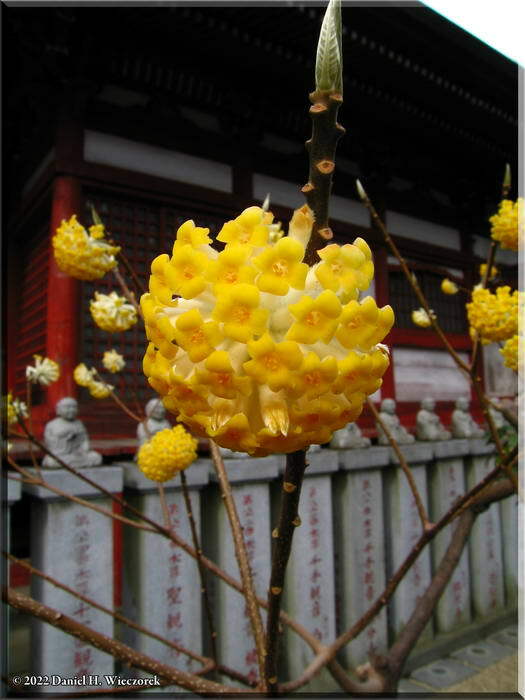 The 3rd photo is a Mitsumata Flower - special paper is made from the wood of this shrub. 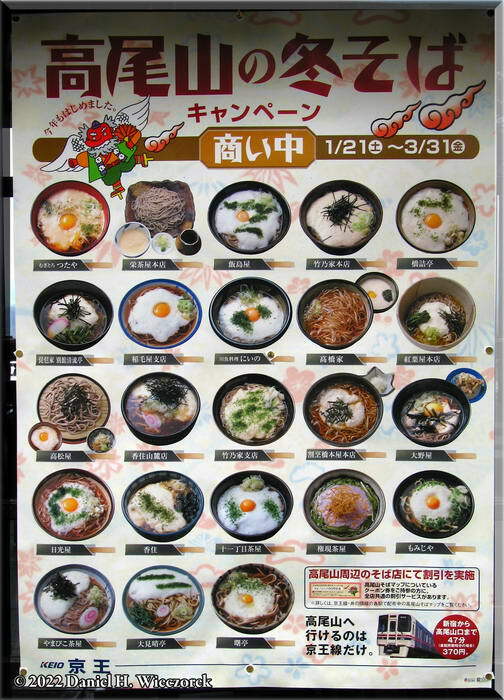 In the town of Takao they have a Winter Soba (buckwheat noodles) Festival at most every restaurant in town and this poster shows the special soba of each restaurant which participates in the festival. 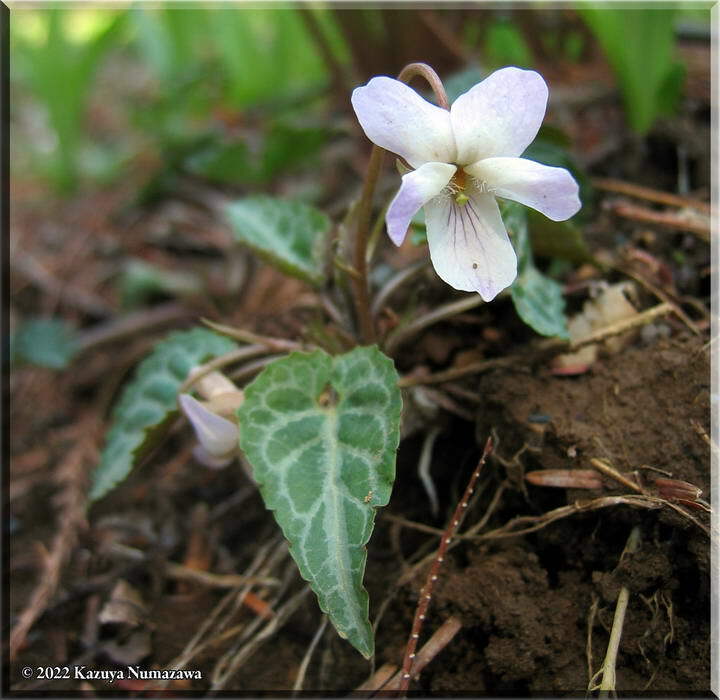 The 2nd Photo is a Takao Violet (Viola yezoensis) on our porch. 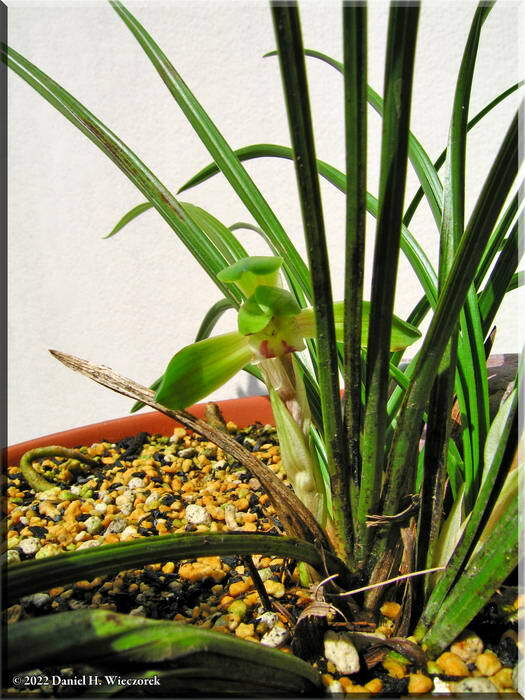 The 3rd photo is our porch Cymbidium Orchid again - compare to the photo of the same plant on Page 1, Row 2 - taken 10 days earlier. 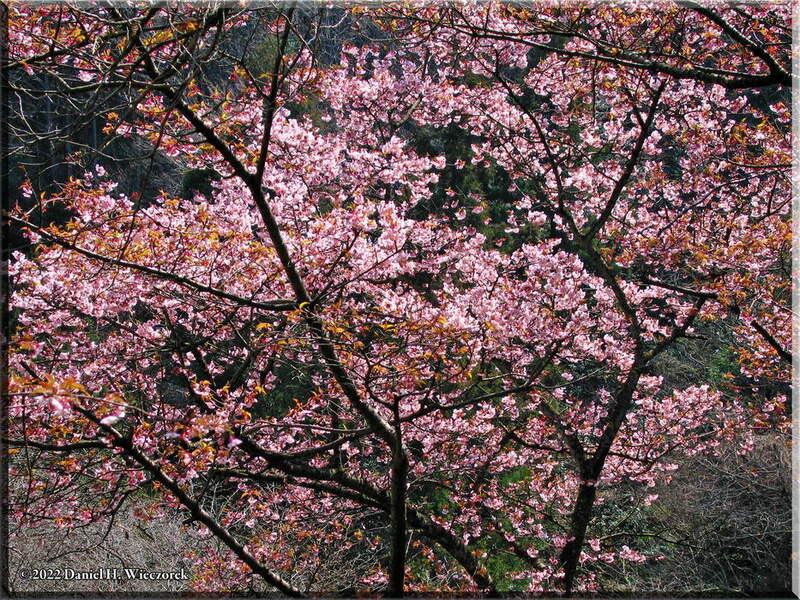 On March 25th we went to the Tama Forest Science Garden for the Cherry Trees, but very few were yet in bloom. 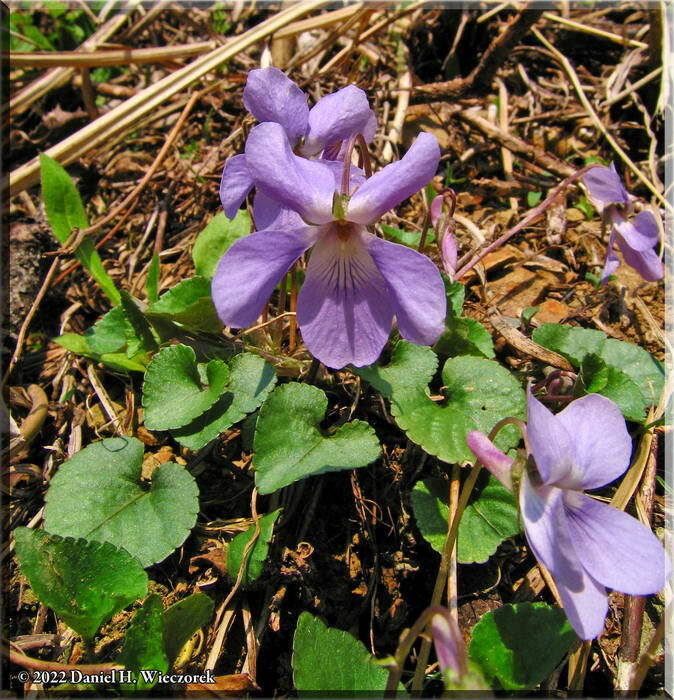 What we found were lots of Violets! 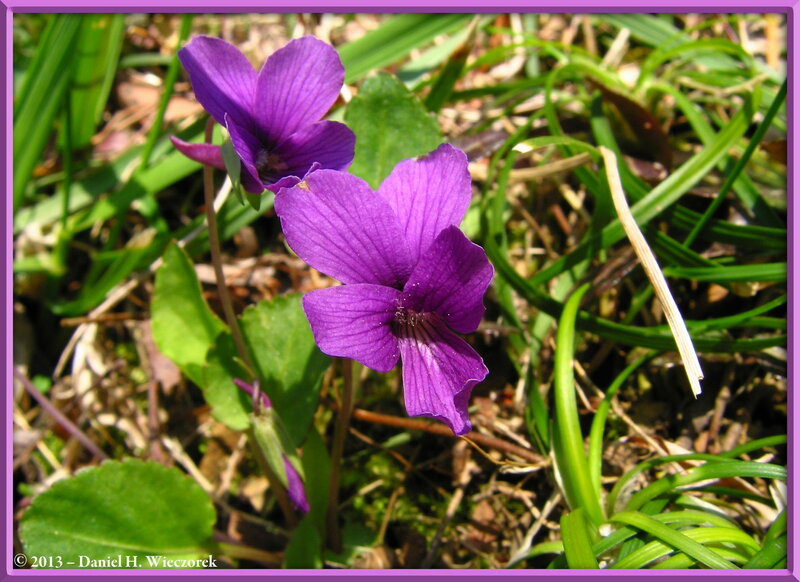 Here are 3 of the best photos (of about 85 violets photos we took on this day). 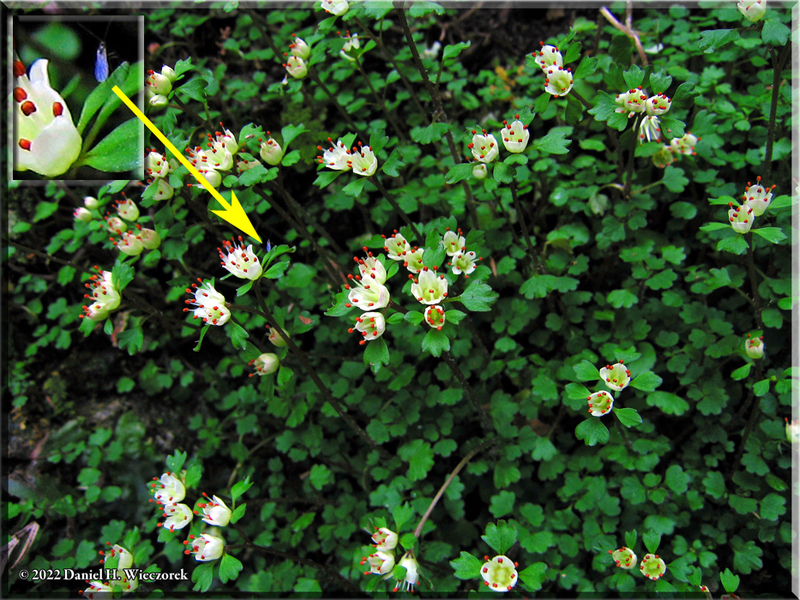 These photos all show both flowers and leaves (for identification purposes). 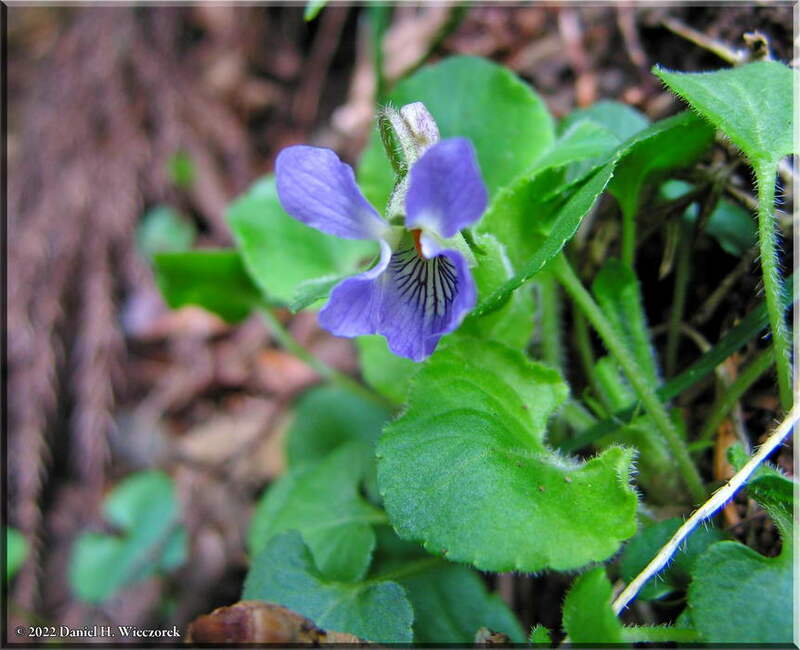 Here are 3 more of the best Violet photos. 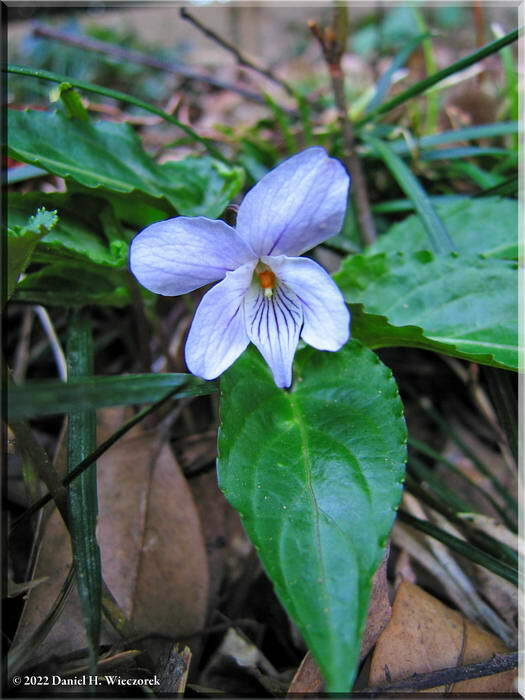 These all show Viola phalacrocarpa. 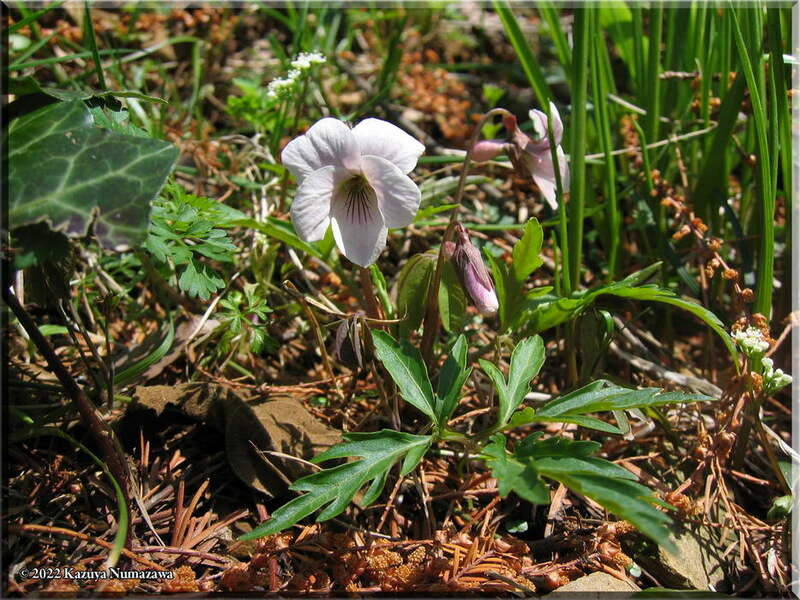 Again, they all show both flowers and leaves (for identification purposes). You can find a beautiful larger size image of the 3rd photo HERE. 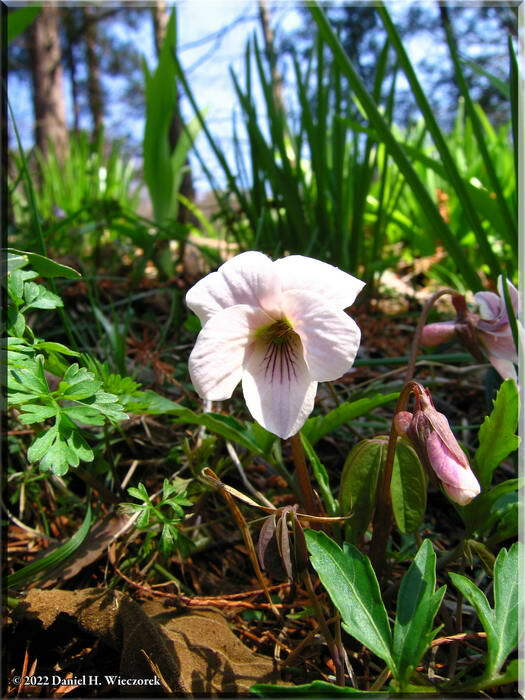 It is a 537 KB JPG file and it's 2,000 pixels in width x 1,456 pixels in height. 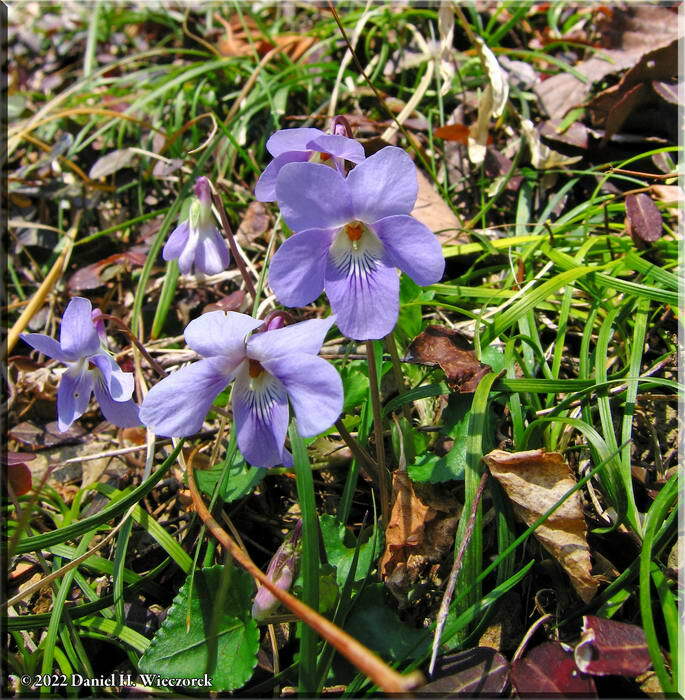 And here are the 3 final Violets photos - note that all of these photos have the Latin Name as part of the photo title. 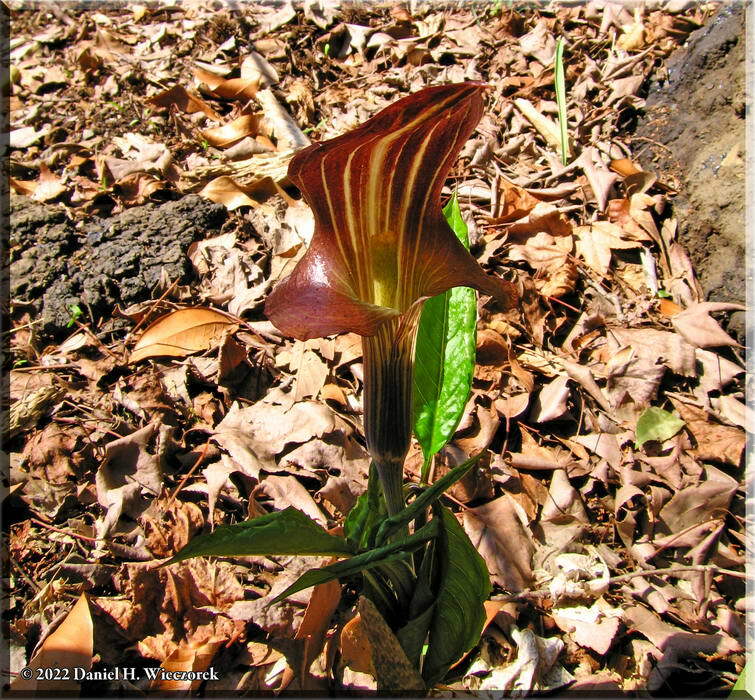 The first photo here is one species of Jack-In-The-Pulpit (Arisaema sp.). The 2nd photo is what is called "Dirty Cat's-eye" when translated from Japanese. The Latin name is shown in the picture title. 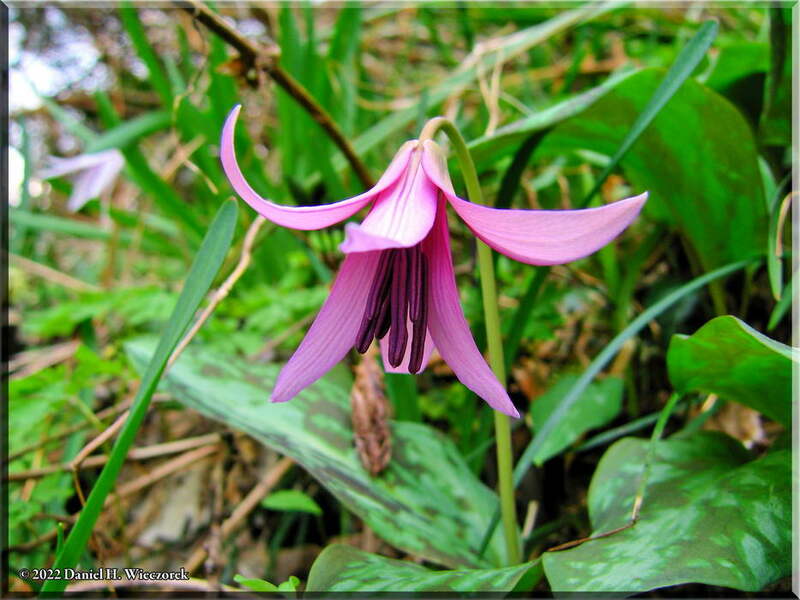 The 3rd photo is a Trout Lily - very early, and only a very few of them at the Science Garden. 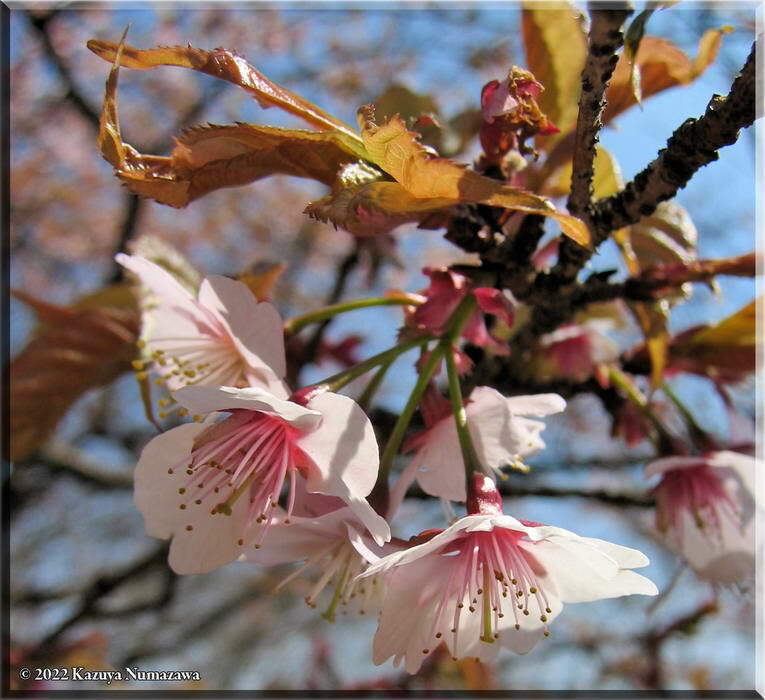 Some photos of the earliest Cherry Blossoms at the Tama Forest Science Garden. This is now a link to a separate web page showing a BRAND NEW photo of our DVD Collection, an AVI Movie of our Home Theater System and 9 photos of our new Sharp Aquos TV. By the way - I just finished building a beautiful DVD Shelf - you can see it here.